Hello dolls! If you watch YouTube then I’m sure you’ve heard of this foundation by Tarte at least once. After reading a lot of reviews of it I was willing so much to try it out myself. So, here it is. My opinion of the Tarte Empowered Hybrid Gel Foundation . A perfect foundation in a non-perfect jar. 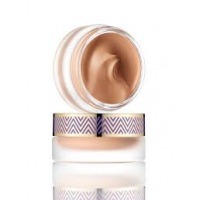 Review of the renowned Tarte foundation. Tarte products are cruelty-free and of great quality, so I love it. Today I’m bringing you a review of a foundation very popular among beauty bloggers. Let me start off by talking about the bad, which is the packaging . It is awful, inconvenient and messy. Hey, lady, your plaster is cracked (a lot of ugly photos). What are you doing with my face? It’s glowing! Liquid photoshop! Nice foundation for oily and combination skin types! Wears all day.